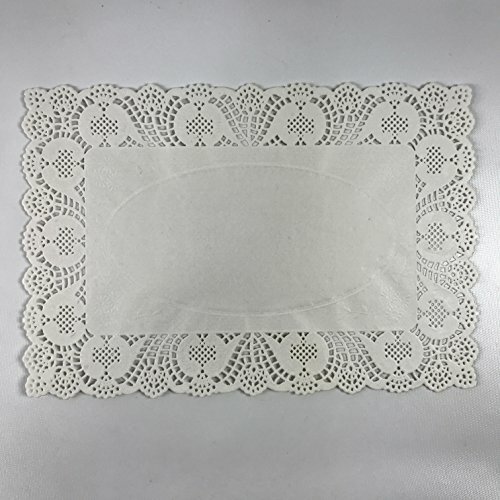 These disposable 10" x 14.5" white rectangular lace paper doilies are ideal for cakes, desserts, bakery display, wedding decoration, gift wraps and tableware décor. If you have any questions about this product by Black Cat Avenue, contact us by completing and submitting the form below. If you are looking for a specif part number, please include it with your message.